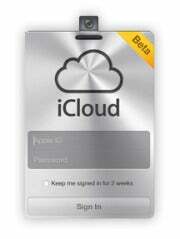 Yesterday, a developer posted a helpful first look video outlining iCloud beta, released yesterday to devs. As far as I can tell, most functionality is in and this beta is very close to the public release. The UI seamlessly blends elements of OS X Lion and iOS, using iOS-style alert pop-ups, but the look of Lion iCal for example. See the video for a sneak peek. Thanks to YouTube user helpfulmactips2010 for posting. While it first appeared that Apple accidently leaked the beta to non-developers, this was quickly corrected. iCloud is Apple's cloud storage syncing solution for iOS devices which was announced this past June. The general release is expected this Fall. What do you think of iCloud? Use the Comments!